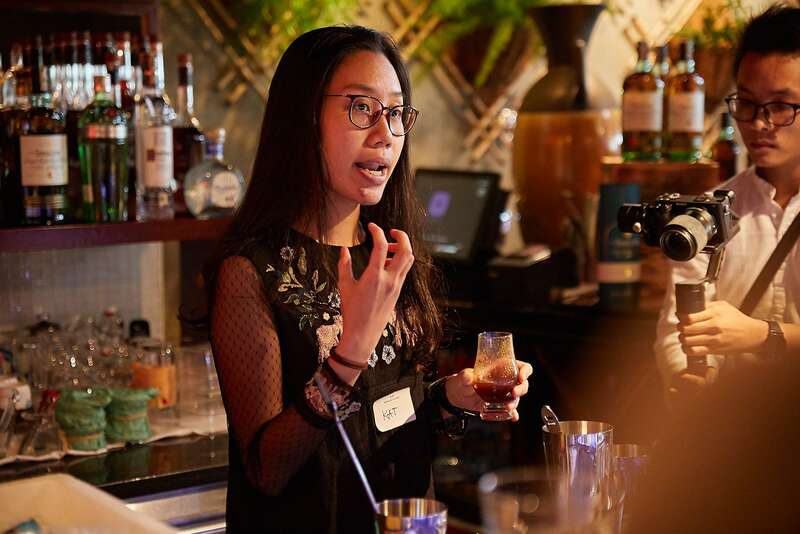 Vietnam is the most recent country in a list of many to host a Diageo Reserve World Class session, the latest edition being held in partnership with The Singleton Single Malt Scotch Whisky at Shri Restaurant & Lounge. 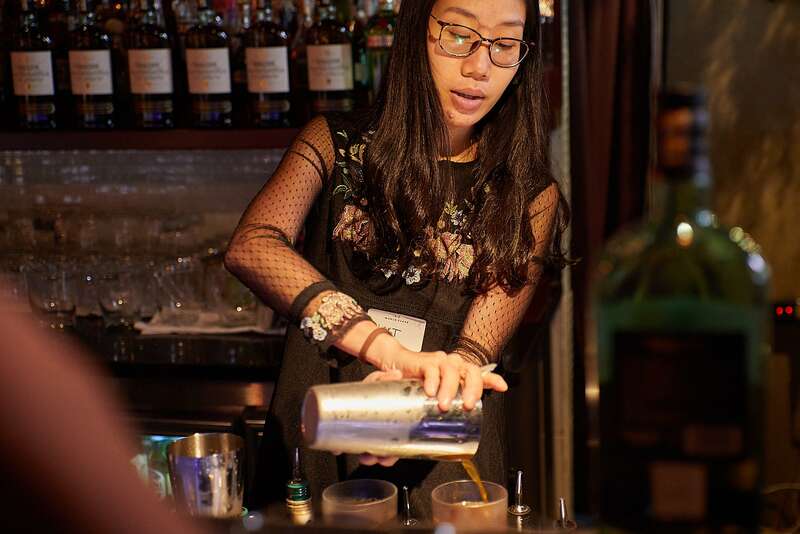 Diageo Reserve World Class has supported, educated, and inspired over 250,000 bartenders through its training and advocacy programs. 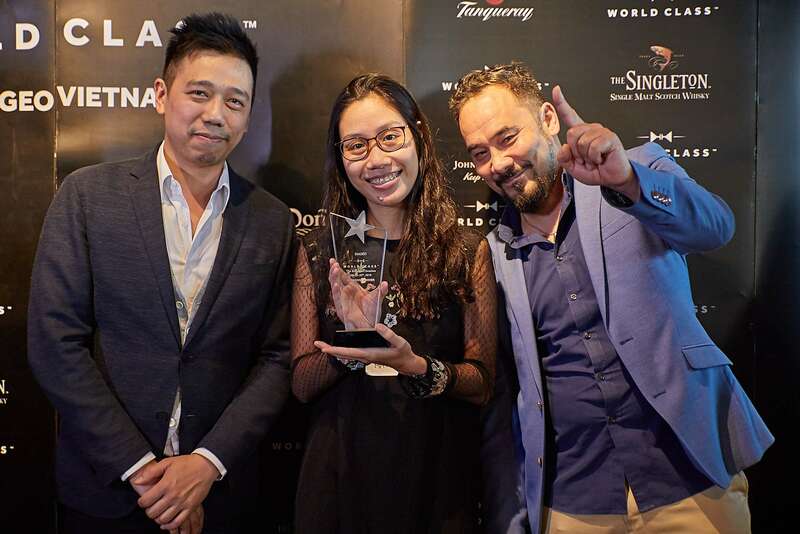 The winner from each country goes on to compete at the global level in Glasgow, Scotland once a year to go for the title of world’s best bartender. Vietcetera formed part of the judging panel at the latest session, where Kat from Rabbit Hole was named the winner for her distinctive Summerland and Weirdo cocktails using The Singleton as the base drink. Her presentation and interaction with the crowd and judges put her at the top of the pack. 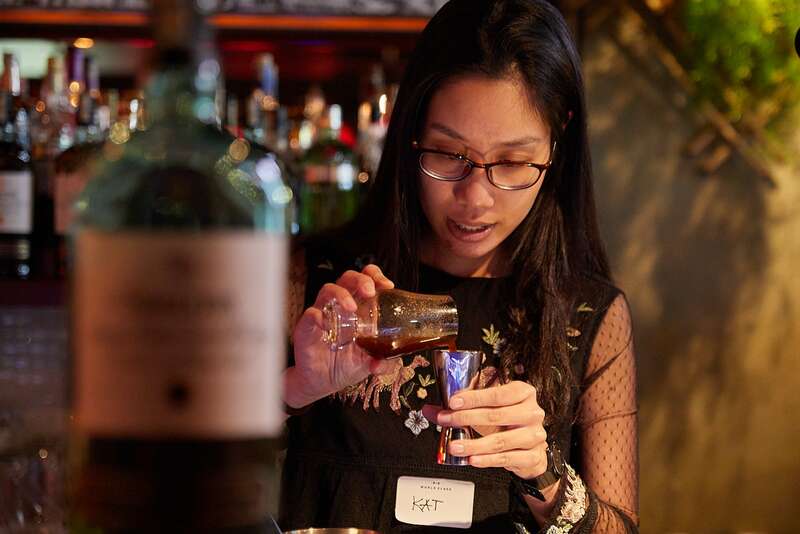 We met with Kat to see what inspires her to compete at Diageo’s World Class sessions and how she hopes to help set the standard for Vietnam’s next generation of bartending talent. Kat from Rabbit Hole was named the winner for her distinctive Summerland and Weirdo cocktails using The Singleton as the base drink. Tell us more about the two drinks you prepared at the World Class Event at Shri. 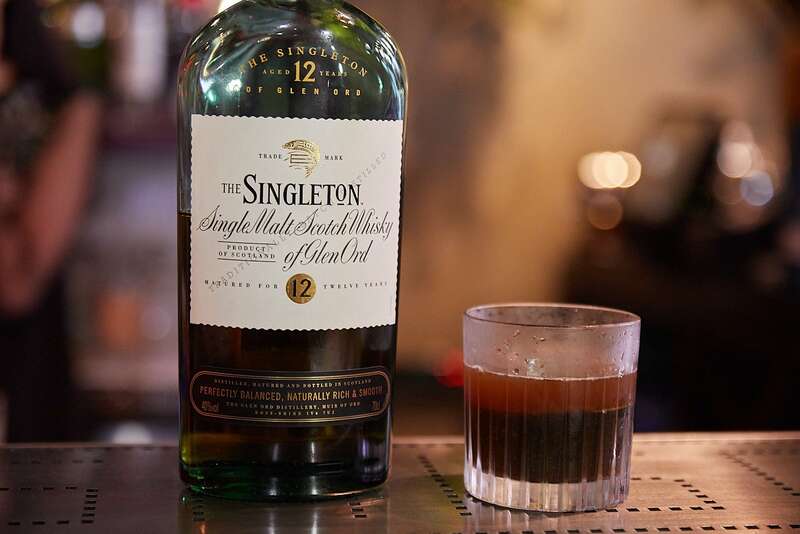 What made The Singleton a good base for these drinks? My most favorite style in making drinks is simplicity. The first I prepared, the Summerland, is a refreshing and fizzing combination of The Singleton as the base spirit, sparkling water, a touch of Peychaud’s Bitter and home-made camomile cordial which helps to enhance the floral note in The Singleton Glen Ord 12. It’s the proper way to wake up your stomach as an aperitif drink. For the digestive drink, the Weirdo, I believe the complex layers from the natural smokiness and sourness of the home-made dried apple vermouth, delicate sweetness from the home-made tropical longan syrup and the slightly bitter Guilinggao jelly combined with The Singleton Glen Ord 12, help give you a balanced, naturally rich and smooth cocktail for ending your day. In my opinion, The Singleton Glen Ord 12 is unique and rich in texture by its fruity and floral characters which is suitable for both aperitif and digestive drinks. It also helps that it’s not in the list of the most expensive bottles in the world, meaning everyone can enjoy it unapologetically. What do the World Class events coming to Vietnam mean to you? I’m grateful to be a part of World Class events because I’ve gained insights and learnings to further my career. I’ve picked up deeper knowledge about the food and beverage industry, particularly in spirits and liqueurs, various skills and creations from other bartenders, and last but not least, I’ve been given the chance to widen my network by making friends with different people in and outside of Vietnam. We’ve heard you’ve barely got a year of experience of bartending. How did you learn so fast and get to where you are now? What’s next? I’ve spent a lot of time reading books and watching plenty of videos on YouTube. I also follow bartenders around the world on Instagram to observe and learn from them and to catch up with global trends as well. Also, I am blessed to work with so many incredibly talented people in the industry, especially my mentor. I always take in something new everyday and keep practicing during my shifts at the bar. Winning this World Class session gives me more motivation to become a better version of myself and to develop my career. I guess all I’ll do next is to keep improving to reach the top of the World Class Competition 2019 Vietnam. Can you describe Rabbit Hole to someone who’s never been? Basically we’re the avant-garde cocktail bar. Not only do we offer great drinks, but also good times. You just need to have a seat and relax, we will take care of the rest. What sort of drinks are you most excited to take down from the shelves and serve? As a junior bartender, I’m quite new to many bottles. Plus I am a curious kid so I always want to try everything with the same excitement and a foolish heart. Who is your typical customer? And what do they usually order? Most of them are office employees, senior officers, owners, founders and they are always looking for high quality cocktails. Whatever the base spirit is, the final drinks must be perfectly balanced and smooth. It’s a challenge and also a privilege for us to win their hearts by our own skills and creation. Every guest visiting us represented his or her own colors that we appreciate because we did observe, learn and get inspired by them more or less. This year a number of special guests dropped by Rabbit Hole. Which one made the biggest impression on the team? Interesting question but it’s hard to have a correct answer. As much as women go shopping our lipsticks, we have no limit because every single stick is amazing in its own way. Every guest visiting us represented his or her own colors that we appreciate because we did observe, learn and get inspired by them more or less. We’re coming to Rabbit Hole. Where should we sit and what should we order? If you’re interested in watching bartenders making drinks and starting a conversation with us no matter the topic, the bar counter area is perfect. If you’re not, don’t worry. Once you’re a regular customer, anywhere at Rabbit Hole is comfortable. For the drinks, kindly share with us your current mood and we’ll surprise you with our classic or creative drinks.